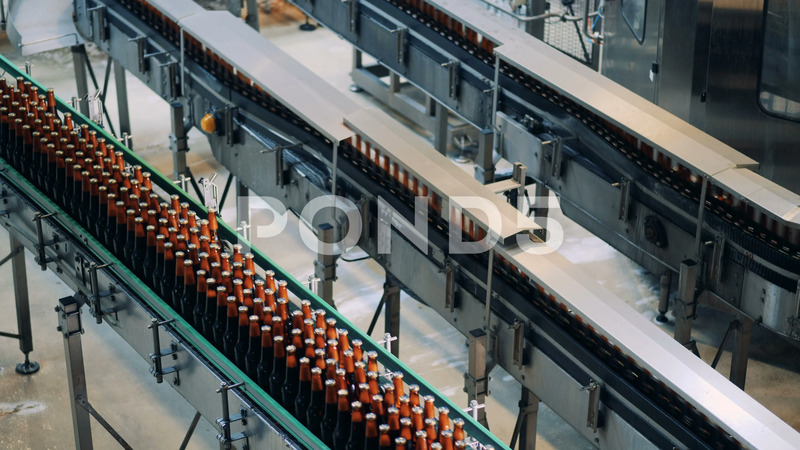 Brewery Conveyors Working With Bottles. Factory Facility Interior. Description: Factory conveyors moving beer bottles.